Random thoughts through June 29. Part II: Beyond the Law | Jon Katz, P.C. Medical marijuana prices from Capital City Care. Nationwide pot prices from High Times. The Colorado Symphony has a Classically Cannabis series where pot smoking is permitted in the audience. Alexander “Sasha” Shulgin recently passed away. He synthesized over 200 psychedelic drugs. Study is released on LSD’s benefits for psychotherapy. Psychodrama presentation by Jacob Moreno, in 1964. Terry Dobson’s story on how compassion overcame the strength of brute force martial arts. The present moment is the only reality we have. Ram Dass on his first two stages as Richard Alpert, and then as Ram Dass. Through mindfulness, we can be aware when insults and trespasses are flung our way without being sucked into it. Mindfulness practice can help create a feeling of space and personal abundance, replacing feelings of being on a perpetual hamster wheel. Hearts in the Himalayas- Health care workers brave tough ledges & passes to teach and help people in remote villages. School of rays flies into the air off Baja. This moving short film on gratitude will enhance one’s every day and moment. Narrated by Br. David Steindl-Rast. Charles S. Clark on Nazis in Arlington, Virginia, before moving to the Midwest.http://www. The Yellow Submarine movie trailer is terrific. Cecil Taylor and my late friend Trudy Morse, performing backup vocals in Legba Crossing. 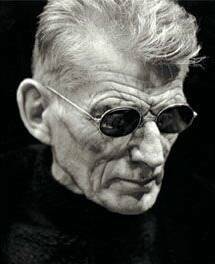 Great photo of Samuel Beckett.